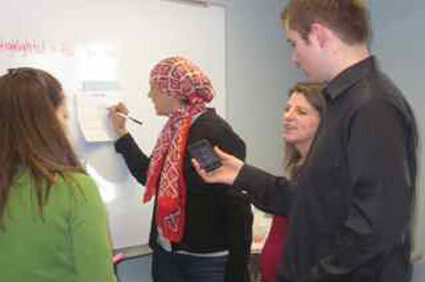 Envision Education Strategists work with educators, families, leaders and community partners. We provide professional and personal development to empower individuals as agents of change towards success in career and in life. Are you doing the "right thing" even if it is not easy? 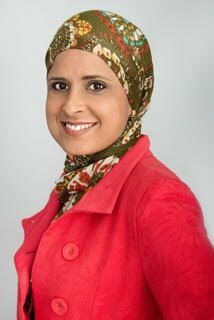 Dr. Dilara Sayeed brings to the work of education leadership a unique combination of instructional expertise as well as strong strategy and management skills. Dilara has served as a middle school teacher for over a decade, a school leader, an educator-preparation expert, and an entrepreneur. She advocates for youth, families and communities to ensure they have every opportunity for success in education and in life. In 2011, Dilara engaged a team in developing an Ed Tech initiative that utilizes face-to-face technology and resources to provide effective strategies for peer coaching- this is social media 2.0! Most recently, Dilara served as Chief Education Officer at the Golden Apple Foundation, where she led her team in developing effective teachers and school leaders, focusing on schools-of-need. 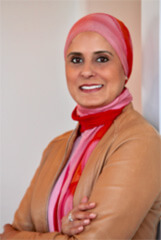 Dilara has a doctorate from Harvard University and master’s degrees from Northwestern University and the University of Illinois at Urbana Champaign. 23 years of experience in the gifted and culturally competent classrooms from preschool-college. She is passionate about creatively inspiring people to understand themselves through their past experiences. Her coaching helps the three key stakeholders invested in schools to find solutions in building stronger relationships while understanding cultural diversity. Dilnaz knows how adults learn and quickly establishes an energizing environment of trust and respect. She will work with educators, parents, and students to find best practices to the challenges of teaching and learning in today's world! Dilnaz has her M.Ed. from Northwestern University and B.S. from Loyola University. Connect with us to learn more about 4C Coaching! Improve in our craft as educators, and become successful professionals and leaders. Research and evidence proves that relevant, timely, and effective coaching is critical for professional growth. The problem is that even in coaching, strategies are siloed. Studies show that though a teacher may know content, their lack of cross-cultural competency results in a potentially unsafe learning environment. Isolation, depression, and bullying are faced by a significant number of students- and teachers may not know, or may even contribute to stressful environments. 4C Coaching is Cross-Cultural Competency and Curriculum Coaching. Cross-Cultural Competency refers to understanding students' previous experiences to enrich their learning, surface challenges to learning, or provide context for their behaviors when learning. To be an effective educator, we need to strive to master the curriculum and integrate it with cross-cultural competency. Envision Education's award-winning and expert coaches will support teachers and school leaders with a comprehensive coaching system that integrates all aspects of strong curricular coaching with strategies to strengthen cultural competencies. 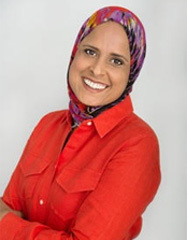 During a trip abroad in 2010 to visit family and provide professional growth opportunities for educators, Dilara partnered with Anjum Babukhan’s team of EdVantage Teacher Leadership Institute to develop a strategy to engage educators across the world in peer coaching. 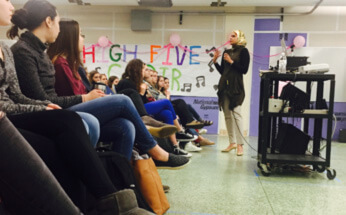 The initiative was so successful that many educators asked "What’s next." Introducing VPeer! Use social media and peer-to-peer coaching to improve in our craft and increase the trajectory of our career. We have hundreds of LinkedIn connections and Facebook Friends, but this does not help us grow as professionals. We may have utilized CareerBuilder and Indeed, but this doesn’t help us improve in our craft. Social Media is great for first level introductions and connections, but to truly succeed as professionals, we need more! VPeer is Social Media 2.0 - focusing on professional growth! The goals are to improve in our professional craft, and change the trajectory of our career. 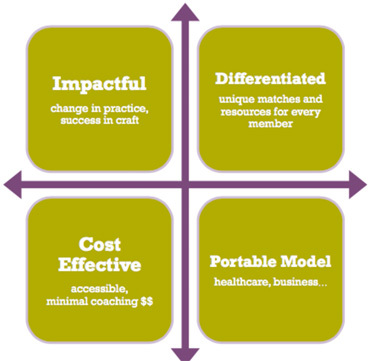 VPeer utilizes a four-pronged Match, Meet, Learn, Rate system. This online platform provides relevant, individualized, cost-effective, and collaborative professional coaching. VPeer will launch in Fall 2017! Provide opportunities for leaders to connect, engage and amplify their individual and collective voices. 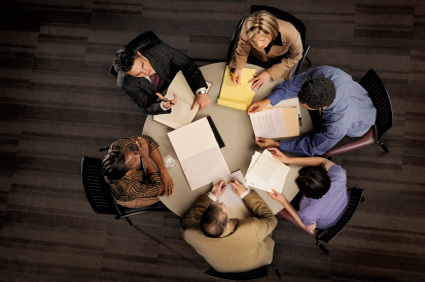 Focus is on leaders-of-color from diverse communities. Access and opportunities for leaders-of-color to take it to the next level are not as readily available as they should be. Envision Education partners with community-based and national leadership programs to offer engagement and growth opportunities for leaders-of-color. Our access and network-building programming identifies leaders as spokespersons, experts, and as mentors for future leaders. Provide a solid system of support, so that a student of South Asian background has the ability to reach his or her full personal and professional potential. Not all aspiring college students have the opportunities needed for college success. There is a need for evidence-based programs providing the kind of support that would make a meaningful difference in completing a higher degree. The Community College Scholarship provides support for low-income, highly motivated South Asian students pursuing degrees in diverse fields including healthcare, education, medical technology, and computer sciences at community colleges. Critical support will be provided to help empower a cohort of college students to succeed in the classroom and beyond. Increase our understanding of and respect for other spiritual systems and institutions, thereby increasing our appreciation and understanding of our pluralistic American community. Respectful discussion based in context allows us to share information, best practices and current research on current issues. There is purpose and value in cross-cultural dialogue, but few opportunities to do so in a healthy and non-judgmental manner exist. 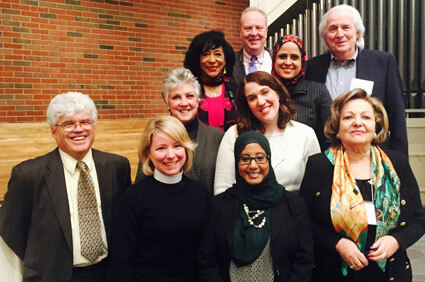 Our multifaith engagement team works cross-culturally and across faiths to engage community leaders and members towards a stronger understanding and advocacy of each other. The aim is to collectively develop authentic and organic programs that provide service and education while engaging the community at large. Events and activities are held throughout the Chicagoland area.